The Breitling Watch Source Forums • View topic - Breitling Chronomat real or fake? Breitling Chronomat real or fake? Post subject: Breitling Chronomat real or fake? Post subject: Re: Breitling Chronomat real or fake? Sorry but I have to agree with the AD that this looks like a fake. Two things which immediately struck me were the date font (too thin) and the cardinal marks (wrong). I would suggest you look to recover your money. As Sharky already stated you have a fake, sorry. I was beginning to feel guilty that we didn't spot that one on Ebay. But the two diamond Evos on the listing are clearly different watches to this. You can't feel guilty about this stuff. We are a small group of people without the infrastructure of eBay or Breitling. Neither of those two entities give two hoots and we can only do so much. Look at the thousands and thousands of watches that we have got removed, not the one or two that might slip through. In my short time here, I've formed the impression that a few people here are doing quite a job policiing this problem to the extent that they do. I'm impressed not that some frauds are missed, but that so many are caught. And anyone can post a link to question the authenticity of something for sale, and get a very quick response. Compare the markings at 12, 3, 6, and 9 o'clock positions, for spacing, size, and shape. The length of 59, 1,14 and 16 sec tick marks are different to the 29, 31, 44 and 46 sec marks. The watch looks legit but I would avoid that seller have they have a bad reputation on here. 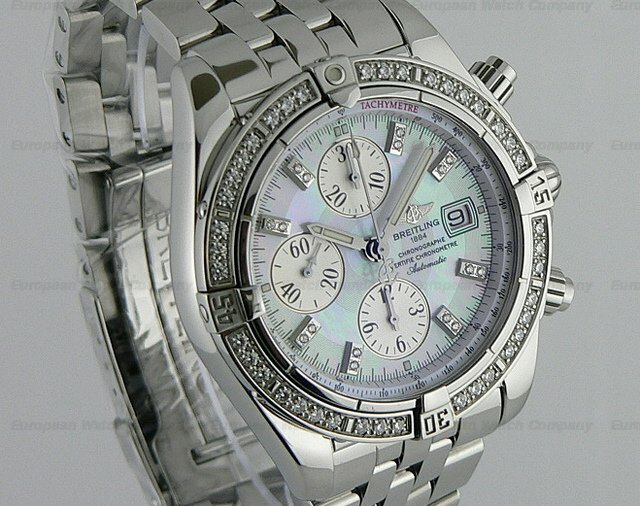 They have attempted to sell at least two Breitling fakes on Ebay recently. Some posters have also questioned the authenticity of the gem stone appraisal certificates they use. Wonder if you kind people can help. I've seen positive feedback from this eBay seller and I want to buy the following. It's onions that the GIA certificate is worthless and it doesn't come with papers so I'm unsure if it's real of fake. The seller assures me that the certificate authenticates the watch and they have photoshopped out the serial number. The seller sent me the serial number but I cannot find a website that allows me to check the number.